Below are a series of images/videos highlighting how the MolecuLight i:X helped clinicians detect fluorescent bacteria and measure wounds to facilitate evidence-based clinician decision making. FL-image revealed both cyan fluorescing bacteria which is indicative of Pseudomonas aeruginosa (arrows) and red fluorescing bacteria (circled) which guided swabbing for accurate microbiology results. 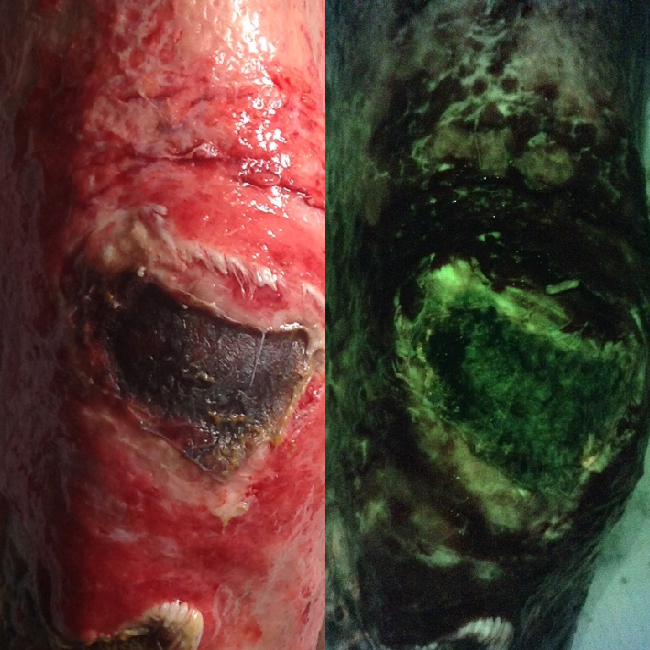 Absence of red fluorescence in FL-image suggests no significant bioburden which provided clinician with confidence to proceed with a skin graft procedure. 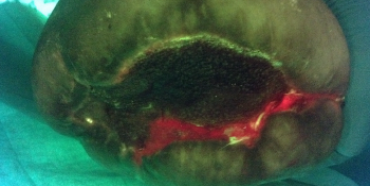 Absence of red fluorescence in FL-image suggests no bacteria (later confirmed via swabs); clinician decided to leave wound bed undisturbed for an additional 24 hours. 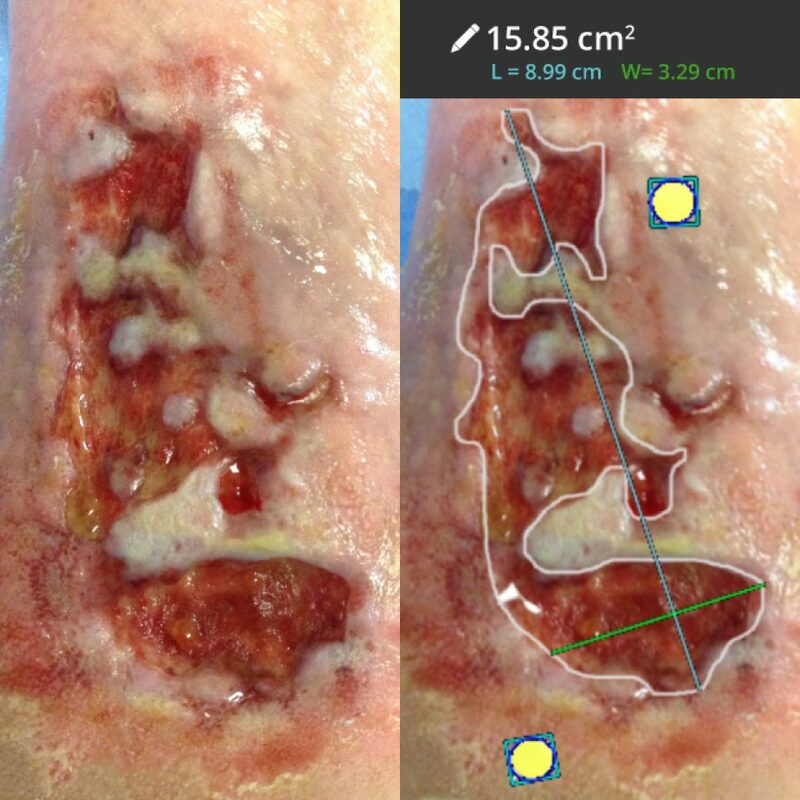 Wound measurement with the MolecuLight i:X allowed for more accurate measurement of this wound with an irregular wound border. 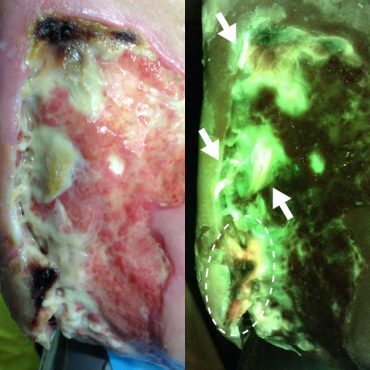 The clinician used the MolecuLight i:X in Fluorescence Imaging Mode to visualize bacterial contamination of a limb amputation in real-time. 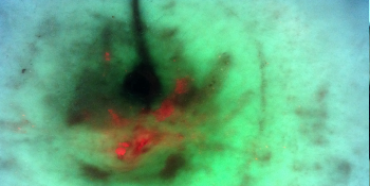 Red fluorescence indicates presence of bacteria at the surgical site. 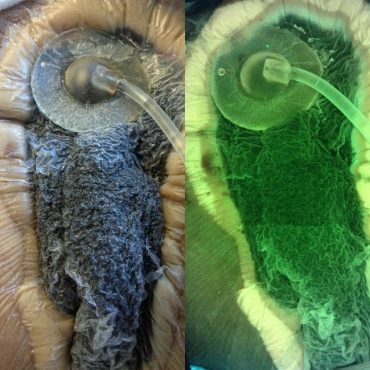 As a result, further wash-out was performed prior to closure. 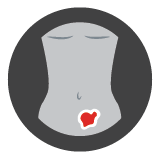 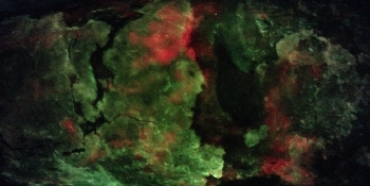 The clinician used the MolecuLight i:X in Fluorescence Imaging Mode to target cleaning to areas of red fluorescence (red indicates presence of bacteria) throughout wound healing of a patient’s abdominal surgery. 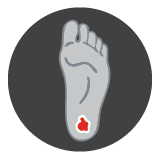 The clinician used the MolecuLight i:X to guide debridement of a heavy callus on a diabetic foot ulcer. As the wound is debrided, the MolecuLight i:X reveals a red fluorescent signal, indicating the presence of bacteria in the wound. By incorporating MolecuLight i:X into the cleaning protocol, the clinician was able to visualize moderate/heavy bacterial load (red fluorescence) in the creases and at the periphery of the wound in real-time to guide cleaning. 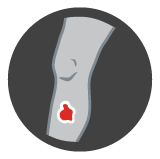 See the progress of a venous leg ulcer with secondary cellulitis over the course of a few weeks. 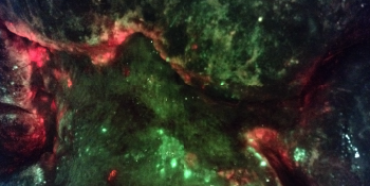 The clinician used the MolecuLight i:X to visualize bacteria (which fluoresce red) to target wound cleaning.